When faced with the need to replace an unhealthy tooth with dental implants in Ottawa that suit your smile, it’s best to entrust the services of a specialist familiar with the intricacies and attention to detail that such procedures command. At Rockcliffe Dental & Denture Centre, our team is more than capable of providing premium quality dental implants at affordable prices, utilizing years of collective implant procedure experience. After carefully examining your jaw bone structure and condition of a missing tooth, we can begin the surgery process. 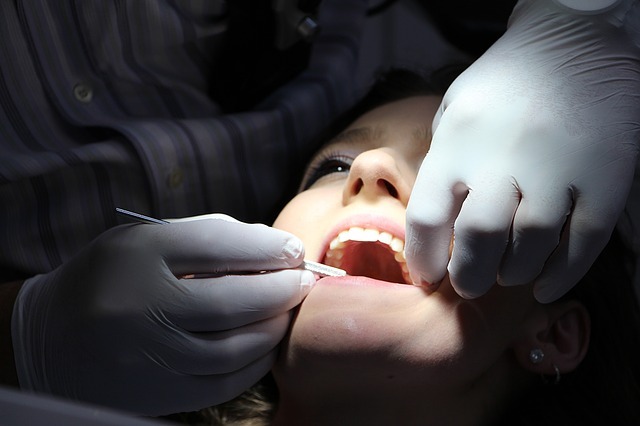 Following any necessary tooth extraction and bone grafting procedure, a dental implant is inserted into a patient’s jawbone to completely replace the root of a missing or heavily damaged tooth. The artificial root is constructed of titanium metal, yet this permanent replacement tooth looks, feels, and functions just like a natural tooth. Every stage of a dental implant procedure is handled with utmost attentiveness and precision by our professional team. From x-rays and initial examinations to installation and follow-up care, we can make a difference in your smile. We are surgical experts who respect the importance of a healthy, accurate, and reliable procedure pertaining to prosthodontics and other similar fields of dentistry. Whether you need to replace a single tooth, several teeth, or all of your teeth, our facilities and staff are prepared to address any issues pertaining to your smile. Consultation. Experienced implant dentists at Rockcliffe Dental & Denture Centre will perform a medical exam of the candidate for dental implants and evaluate the x-rays in order to recommend appropriate types of implants required. Anaesthesia. During the consultation, various anaesthesia options will be considered in order to minimize discomfort during the surgery. Recovery. We will provide you with a prescription for antibiotics or pain medication if necessary, as well as detailed after-surgery instructions. Follow-Up Visit. The implant surgeon will schedule the follow-up visit in order to monitor the healing process and answer any questions you may have. Possible Risks. With the latest technology used at Rockcliffe Dental, serious complications with dental implants in Ottawa are highly uncommon. However, numbness, prolonged pain, excessive bleeding, implant failure, infection, or sinus complications can sometimes occur. Implants are a type of dental treatment that is intended to replace a natural tooth that has been significantly damaged with a “replacement” tooth. Dental implants involve a surgical procedure that replaces the root of the tooth with screwlike metal posts, and then places “replacement” teeth that function and look completely natural. Dental implant placement surgery is a revolutionary alternative to denture, partial denture, or dental bridge, as it allows for chewing all types of food! What are the Types of Dental Implants in Ottawa? The specific type of dental implant procedure required will be determined on an individual basis. Dr. Koniouchine will carefully analyze the patient’s oral health, the number and location of the missing teeth, as well as the availability of healthy bone structure. During the dental implant surgery, you will receive anesthesia, which will make the procedure itself painless. However, experiencing some pain or discomfort after the anesthesia wears off is completely normal; the amount and severity of pain after the procedure will depend on the specific type of procedure that was performed. Typically, the discomfort lasts for up to 10 days following the surgery, with the swelling subsiding within 3 to 5 days. For patients thinking about long-term tooth replacement, undergoing a dental implant procedure is the perfect solution. The fact is, the longevity of a dental implant will depend on a number of factors, such as routine dental hygiene and the patient’s lifestyle. Nowadays, the dental implant process and technology are quite advanced, and implant failures are very rare. The major factor determining the lifespan of a dental implant is the pre-existing patient health alongside with mistreatment or misuse. Overall, with proper maintenance and oral hygiene, as well as regular dentist visits and examinations, you can expect to enjoy your new beautiful smile for many years to come. Can Dental Implant Decay, Rot, or Fail? As long as dental implants in Ottawa are properly maintained, they can provide indefinite sustainability. Just like natural teeth, deterioration and decay can be avoided with proper care. However, there are certain factors that may cause an implant to fail, such as diabetes or other serious conditions. Another issue that can compromise the success of the procedure is a gum disease. Nevertheless, proper home care is the most important factor for patients with dental implants. It’s important to feel comfortable and confident about your smile, and nothing makes that more difficult to achieve than living with a damaged or missing tooth. Thankfully, turning to us can spare you any awkwardness or embarrassment while protecting against the risk of infection. Our friendly team of experts will be glad to assist in protecting your teeth with top-quality service you can depend on. Rockcliffe Dental has the skills, experience and passion needed to deliver exceptional-quality dental implants in Ottawa that you can trust. With a focus on care and comfort, we’re happy to restore your smile to look its very best, helping you feel even better about your appearance. Contact Rockcliffe Dental today to book an examination and discover a new smile.